It’s the time of year where families around the country are stringing lights around their homes to celebrate the holiday season. While these lights may seem innocuous, they can be fairly dangerous if not installed correctly. Any qualified electrician will tell you that using a GFCI (ground-fault circuit interrupter) outlet can help you stay safe and eliminate unplanned issues. Here are some of the specific reasons why this is so important. Basically, this type of outlet is able to measure electric currents on a consistent basis, so if anything becomes unbalanced, it can quickly shut down the flow of energy. These outlets are actually safer in every situation, but they are especially important for outdoor outlets, where holiday lights are usually plugged in. This is because there’s a higher chance for water to come into contact with your electrical outlets and cords, which can lead to an interruption or change in current. When there is an interruption or irregular flow of energy, whether it’s due to precipitation or another issue, it can potentially lead to fire or electric shock. GFCI outlets are able to react quickly to shut down the energy flow before these issues occur. So they can drastically lessen the chance of major incidents occurring around your home. A qualified electrician can install new GFCI outlets outside your home very quickly and inexpensively. You may not be able to tell the difference between this outlet and others, but an electrician can perform a simple safety inspection to find out and then replace it right away if necessary. So there’s really no excuse not to have this type of outlet in use during the holidays. If you need new GFCI outlets installed, call Dauman Electric in Fall River, WI. The family-owned electrical contractor has been serving residents and businesses throughout Dane, Columbia, and Dodge County for more than 15 years. Every electrician on the team has at least five years of experience and undergoes regular training. They are qualified to perform electrical inspections, repairs, and installations. 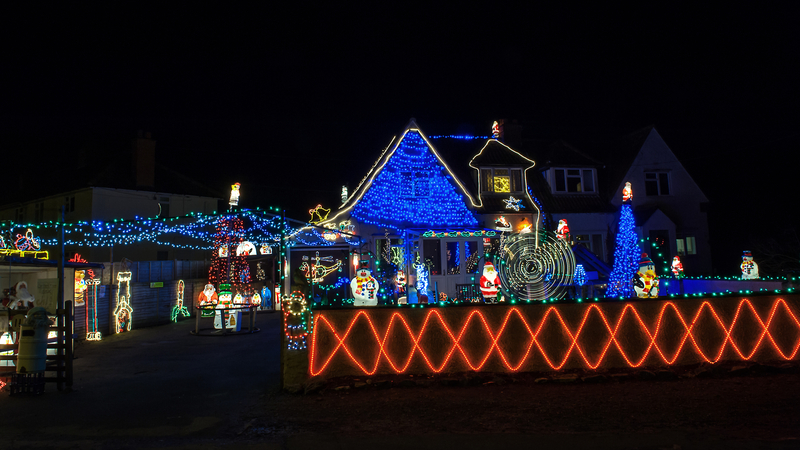 So whether you’re looking to make your holiday light display safer or need any other type of electrical work done, call (920) 484-3852 or send a message to the team online.